The story I want to share concerning the condition of allergies is about a 19-year-old man who had suffered with debilitating allergies for years, along with migraine headaches from about the age of 7……..
Do you have your own story? 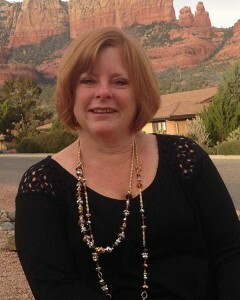 If you have been treated by Dawn Horn of Sedona, she would love to hear about it. All of the above conditions have been treated by Dawn throughout the course of her career as a reflexologist. Ailments that seemed hopeless are now nothing more than a memory for so many. Contact Dawn a Master Certified Reflexologist located in Sedona Arizona or call Dawn for her next travel date to your area. I came to be a reflexologist to help myself heal from an illness I got in my early thirties. At the time I had six kids counting on me and the illness was getting in the way of good parenting. A doctor told me I needed to take medication for the rest of my life as treatment for the illness. When I went home I realized it made no sense to take medication for the rest of my life because my mission was to be well. I am of the opinion that the body heals itself if brought to balance. I did take the medication for a while but didn’t feel well at all. Then I started on the healing journey of balancing myself. I changed my diet and exercise routine, did a creative project, went to therapy and ultimately started my spiritual journey. One symptom I found debilitation was deep pain in my feet. When I saw a therapist she asked, “When this is over, where do you see yourself? ” I couldn’t walk without pain so I told her that I couldn’t see beyond the pain in my feet and all I wanted was a reflexologist who would get into them and address the pain. She asked me why I didn’t study and become the reflexologist for our area. I said to myself, “I don’t know, why not learn it?” Then I started to study and developed an awesome awareness of illness as a mind, body, spirit condition. That is where my business name came from, Tri Healing Reflexology. Back then I had no idea where this would take me or how many other people would be helped by my practice as a clinical reflexologist but it has indeed been a wonderful journey. I have met and treated people across the United States as well as other countries. I love to travel as much as seeing clients heal and change before my eyes. The bonus comes when clients fill me in on what happens in the days and weeks following their treatments. I have extreme gratitude for the word of mouth advertising my clients have always done. It brings more and more people to the understanding of reflexology using information stored in their bodies to reveal what needs to occur so they can balance and heal. Issues reside in the tissues. Reflexology allows the tissues to tell the information correctly to quickly start the healing process. It is my mission to provide people with clinical depth to their treatments. Reprinted from ALTERNATIVE THERAPIES IN CLINICAL PRACTICE Volume 4, Number 1, January/February 1997. The International Academy of Medical Reflexology’s Patented Definition for Medical Reflexology is (c) MEDICAL REFLEXOLOGY IS a complementary, biological, integrative, blended health science, THROUGH WHICH an exercise pressure is applied to reflex areas, FORMED BY 7,200 nerve endings in each hand and foot, ENCOURAGING IMPROVED INSTRUCTION to each and every specific organ, gland, and part of the body, THUS PERSUADING the body to biologically correct, strengthen, and reinforce itself, to reach balance, normalization, and homeostasis. Thus, by working on one part of the body (foot area) there is an effect on another. The goals are to re-educate, re-pattern and re-condition the nerves through the neural/electrical system of the body. The sole purpose of the nerves is to instruct the body (simply put, to tell the body what to do), when the nerves improve, the instruction improves, the body must improve, thus, an overall health enhancement therapy program of Medical Reflexology. To relax a particular area of the body through a highly specialized specific relaxation technique. To improve nerve, blood and lymphatic supply. To persuade the body to biologically correct itself. To allow the body to reach homeostasis. Persuade the body to biologically correct itself. Continue the body’s maintaining balance (good health). What Reflexology does not do. A Reflexologist is NOT a doctor. A medical session is to be exclusively reflexology. It should NEVER incorporate any other professional practice during the session. Medical Reflexology CANNOT cause health problems. There are NO contraindications with reflexology. Medical Reflexology CANNOT give or take anything away from the body. Medical Reflexology does not increase, decrease, replace, alter or over stimulate the body’s functioning abilities. Reflexology allows the body to self-correct, and to do for itself. Every time a person has his/her feet worked on, it is an examination, an evaluation, or a re-evaluation. This is accomplished through first doing a visual observation, and then by applying an exercise pressure upon relax areas to achieve a specific, highly specialized relaxation in that area of the body. This improves the nerve, blood, and lymphatic supply. The entire foot is assessed; and throughout the session, whenever a trouble (sore) spot shows up, more time is spent on that area of the foot reflex. By working on that area, the corresponding part of the body receives improved nerve, blood and lymphatic supply, in addition to working all 12 systems of the body: cardio-vascular, central nervous, digestive, endocrine, immune, lymphatic, muscular, reproductive, respiratory, sensory, skeletal, and urinary. The purpose of the nerves is to carry messages and instruct the body. When the nerves improve that instruct the body, the instruction has to improve, the body has to improve. Every nerve in the body begins and ends in the hands and feet. By applying this specialized exercise pressure on the foot, the outcome is improved instruction to each and every part of the body, resulting in a re-educating, a re-patterning, and a re-conditioning of the nerves & instruction through the reflex/neutral electrical system of the body. The purpose of the blood is to transport nutrition, glucose, and oxygen to all parts of the body. The blood travels approximately 168,000 miles per day to supply about 60 trillion cells in the body. The heart pumps about 103,000 times per day. It is in the hands and feet that blood transfers from arteries to veins to return back to the heart. This is the reason why the feet must be flexible and dexterous. Stress, which can be responsible for 80 percent to 90 percent of ailments, can act like a tourniquet, wrapping around the body, squeezing so tightly that it causes an impediment of blood flow which results in an ischemic condition. Since the capillaries feed the functioning part of the body, we are only as healthy as our capillaries. Again, by using this specific, highly specialized relaxation technique, medical reflexology is able to relax a specific area of the body enough to improve the blood supply to that area. This will then allow improved transportation of the nutrition, glucose and oxygen which that area of the body desperately needs to function or to regulate. It is essential to remember that we are not only what we eat, we are what we supply to our cells, and then assimilate. The purpose of the lymphatic system is to cleanse and purify the body and lubricate the muscles. A healthy system is a cleansed system; congestion is disease. The absence of balance in the body is disease. The lymphatic system cannot cleanse or purify very well if it is weak, sick or congested. A healthy person’s body will rid itself of at least eight pounds or toxic waste per day through the four channels of elimination: kidneys, bowels, skin and the breath. The lymph flows in one direction only, toward the heart; also every lymphatic vessel begins and ends in the hands and feet. By using this specific, highly specialized relaxation technique (medical reflexology) we are persuading the body to correct, strengthen, and reinforce itself. Imagine a healthy body that has a strong and well-toned nerve, blood and lymphatic supply. Medical Reflexology, which is not invasive but persuasive, can enable the body to obtain and maintain this healthy condition. In essence, healthy, strong feet are attached to a healthy, strong body – Doctor Left Foot and Doctor Right Foot, if you will. Different Laws of Reflexology explained. The law of the understood: the body has a built in self-correcting system. The law of similar : whatever is happening inside the body is identical and similar at the end of the nerves in both hands and the feet. In other words, the symptoms of swelling and tenderness anywhere in your body will be duplicated in that related foot reflex area to the same degree as manifested in the body. Professional techniques lie in expert evaluations and assessment by the practitioner: the ability to tie in the identity of the reflex area to that specific gland, organ, or single part of the body. A Reflexologist does not see just the hands and feet of a client; they see the entire body with the 12 systems mapped out in the hands and feet. The reflex area of the body is treated, not the disease or condition. By working with the law of evidence, we would document the condition of the client. Proper tests would be conducted by the physician before the client begins reflexology and then again after a client’s condition has improved, as evidenced by identical tests given by the medical professional, thereby establishing a documented case study. This is the proving scientific ground for reflexology, allowing it to receive the credit and status that it is due. Fortunately, the body as a whole is highly intelligent. Innately it knows what to do, how to circulate blood, how to maintain health, etc. Medical Reflexology simply facilitates the different processes when a problem arises due to a person’s lifestyle. It is a safe, no-risk, non-evasive but persuasive, highly effective therapy. Its success can be seen in many case studies. Hence a most logical conclusion would be that to maintain a healthy body. “medical reflexology” is a necessity not a luxury. Medical Reflexology and Clinical Reflexology are terms that are used interchangeably.